Header image | Tim Lambert; see the full gallery here. Ever since Mumford & Sons’ first appearances on Australian shores in 2010, the Gentlemen of the Road have consistently been welcomed back with open arms by our audiences. 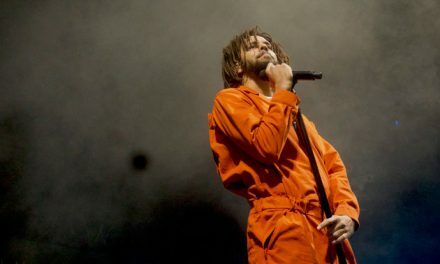 On Tuesday they headlined the first of two back-to-back summer concerts at Melbourne’s Sidney Myer Music Bowl, and with a stellar line-up of local and international supports, perfect Melbourne weather and a great selection of food trucks and craft beers on offer, everything was in place for a superb night of live music. Support acts Gretta Ray and Michael Kiwanuka each respectively warmed the audience with their beautiful sounds; Kiwanuka drew appreciation with his soul- and blues-infused rock’n’roll, while Melbourne-based singer-songwriter Ray delighted the crowd solo and later made a stunning guest appearance during Mumford & Sons’ Forever. 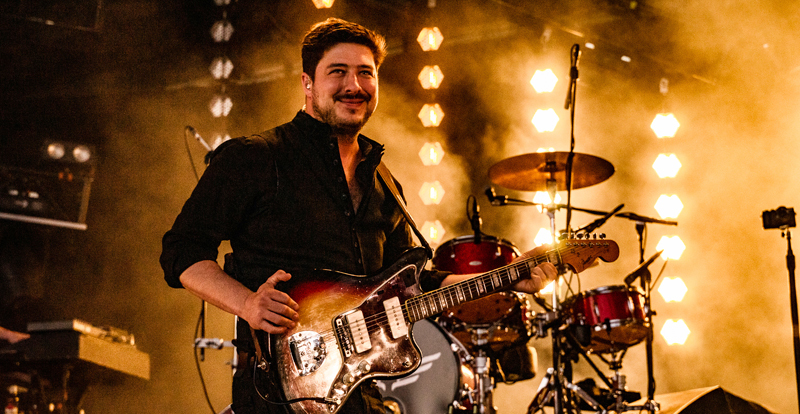 As Mumford & Sons graced the stage, they began with a somewhat subdued opening of Delta and Slip Away, both from 2018 album Delta; it was in stark contrast to the four-piece’s other shows on this tour (the setlists of which I’m guilty of peeking at online), which saw them opening with a belting rendition of one of their earliest hits Little Lion Man while appearing on a walkway in the middle of the venue – but more on that later. Considering my admitted peeking, it was nice to be surprised with Holland Road and Babel, both of which brought the energy right up, with fans dancing in the aisles. Special shout-out to the young kid on his dad’s shoulders, who sung his little lion heart out to every word throughout the set. 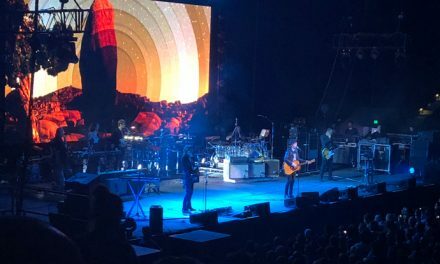 Highlights included an electric version of White Blank Page and the mass sing-a-long of Little Lion Man, but the big surprise of the night occurred when the band left the stage, only to reappear near the lawn section standing on top of the lighting desk, to perform an unplugged set around a lone microphone. “This will only work if everybody is quiet,” Marcus Mumford declared. The audience attentively followed his instructions; you could’ve heard a pin drop as the quartet harmonised Timshel, Cold Arms and the incredible Awake My Soul (from their #1 debut album, 2009’s Sigh No More) with the crowd using their mobile phones to light the way. It was an incredible moment I have no doubt everyone was thankful to have witnessed. 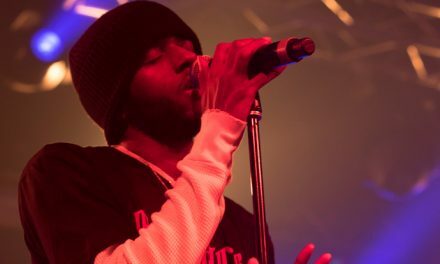 The band’s b-stage appearance also helped bring those on the hill a little closer to the action – it’s no secret that while the Music Bowl is a beautiful venue, you can often find yourself disconnected from the performance due to its poorly-designed sloping hill; often enough, fans who have paid a large amount of money to attend are unable to see the stage and must make do with watching video screens – while demonstrating the power of their talent. Returning to the main stage for an encore cover of The Boss’ I’m on Fire, Mumford & Sons rounded out their set by going all-out with The Cave, I Will Wait and The Wolf, complete with a barrage of onstage fireworks to complement their barn-stomping energy. The charm and appeal of Mumford & Sons surely lies in their showmanship, but also in their genuine appreciation of their audience. 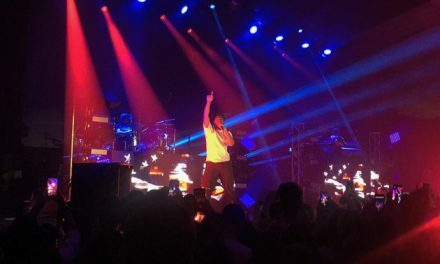 The group are an Australian favourite, and the feeling is mutual, with Marcus thanking the crowd with genuine gratefulness throughout the night. As long as they keep delivering world-class performances like this, we’ll keep coming back for more. 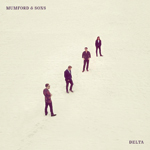 Mumford & Sons’ Delta is out now via Dew Process.